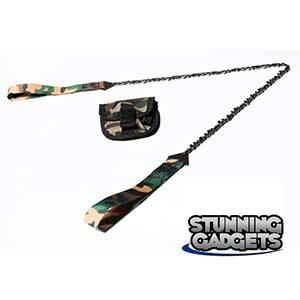 If there is one thing outdoor enthusiasts seem to promote as “the survival tool”, it is our very own survival saw! But with the increasing hype around this simple tool, there is one thing on everyone’s mind – is this simple looking, unassuming tool as good as it claims to be? Is this saw really essential to our outdoor survival as enthusiasts claim it to be? The truth is survival saw does help; the question is – to what extent? How much can this saw survive the outdoors? How far can it stand by you and for how long?! There are a whole variety, size and kind of saws for the taking; thanks to our competitive entrepreneurs, who keep coming up with more flexible, more robust, more durable and more competitively-priced saws. They also go by different names – the flexible ‘chain saws’, the portable ‘pocket saws’, the durable ‘wire saws’, the hard-core ‘saber-cut saws’, and the list goes on. So, if you are looking for a survival saw, you can be assured to find one as far as your nearest store or as close as a mouse click. For those who are new to venturing outdoors or for even those who are new to making the saw a part of their outdoor survival kit, here are some aspects that you need to look out for while choosing a good saw that will benefit you! 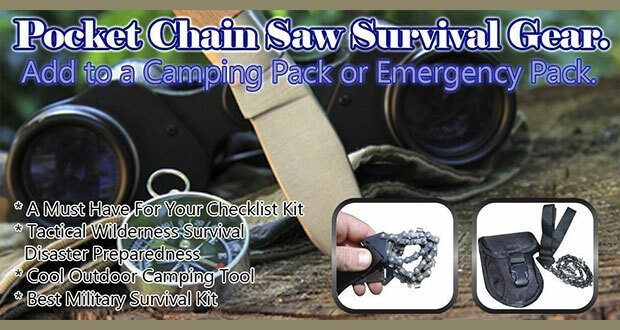 Reliability – as with any other product, reliability of your survival saw matters. After all, it is going to be part of your survival kit! What good is any tool if it cannot be relied upon when you most need it? What really matters with any saw that you finally decide to procure is whether it will help you in your survival needs. And so, you need to determine what needs you intend to satisfy with your saw. What are things with which your saw will help you? Do you plan to cut branches? Do you plan to use it as a multi-purpose tool? Are you planning it as an exclusive firewood collector tool? Analyzing these questions will help you determine what saw will make an appropriate addition in your survival kit. Once you have decided on a specific saw that fulfils your purpose, you also need to understand whether your saw will last as long as you expect it to. Some saws are good for a few instances; but long-term or hard-core usage will see them giving way to pressure, literally! So along with reliability comes the question of durability. It goes without saying that survival tools also need to be easily portable. No one wants to lug around a heavy or cumbersome tool; however excellent it might be in performance. After all you can’t jeopardize your survival chances just because you carried a heavy tool that you had to ditch mid-way; and then, you find yourself in trouble because you don’t have an appropriate saw with you! But this need not be a real concern; at least when it comes to survival saws! Because this is one aspect that is highlighted by most manufacturers themselves, considering that all survival tools are meant to be easily and conveniently carried around. Although the shapes and sizes of saws might vary, most of them are designed to be easily portable; even to the extent of being a pocket tool. Survival is a time when you want to save your energy; because you don’t know what comes next. It can be a planned adventure or an unplanned emergency! Either ways, the last thing you want is to get tired because you were clearing a path to walk or collecting fire wood to keep yourself warm! Therefore, it is not enough if your saw is reliable, durable and portable; it also needs to be easily usable. When it comes to usability, what really matters is how much energy you need to expend to get your task done. If you have a saw that cuts through faster with lesser exertion; then, that is what would make a good survival companion for you. There are times when you need to compromise usability to some extent to cater to the needs of durability and portability. But knowing how much to compromise is the key to choosing the right tool. This again is not really a great concern considering that the market for saws has grown considerably in the past few years. And manufacturers have come out with designs that have integrated technology to enable efficient cutting with lesser exertion and more precision. 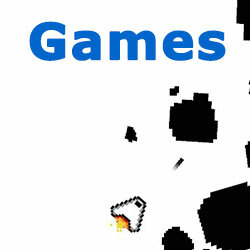 The focus has been on usability as much as it has been on portability and reliability. Now all that you need to focus on is finding a saw that suits your needs. One factor that most of us skip out when it comes to choosing a good saw is its maintainability aspect. This refers to the ability to sharpen the teeth, maintain it in working condition and any other service upkeep activities you need to carry out to keep the saw in good shape. After all, a survival tool needs to survive first in order to help you in your survival! The upkeep activities that you would need to focus on is again based on the type of the saw. There are wire saws, chain-link saws, serrated saws, etc and the maintainability of each saw differs. Here’s a Quick Way To Cut Through Wood With a Pocket Chainsaw! And last but not the least; you need to think of the cost. Of course, you have already allocated a budget for your survival kit or outdoor backpack. But there are times when you need to balance your cost with your needs and the best tool that can help you in your needs. And this is one such scenario; after all procuring a cheaper saw should not be at the cost of compromising your outdoor survival chances. Whether you decide to walk up to your neighbourhood store or just check out your options on an online portal, you can be assured there are a whole range of survival saws to choose from. They just come by different names, come with different designs and come at different costs. But there is definitely one that is capable of taking care of your needs. So go ahead and check out your options. After all a survival saw is meant to help your survival!